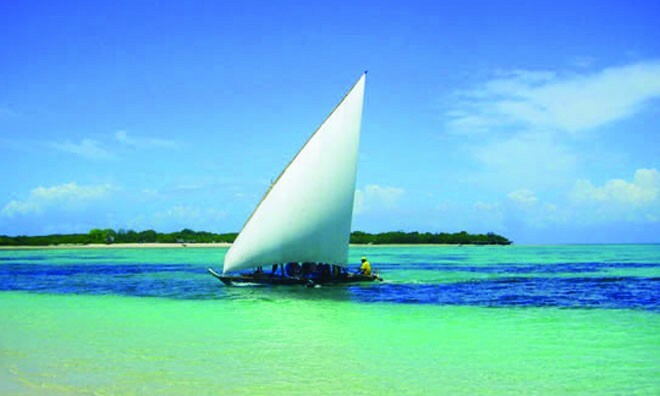 Safari Blue is a great thing to do in Zanzibar on holiday as it is a full day excursion on a traditional locally made sailing dhow. The dhow leaves from Fumba fishing village and then explores Menai Bay, a beautiful conservation area. 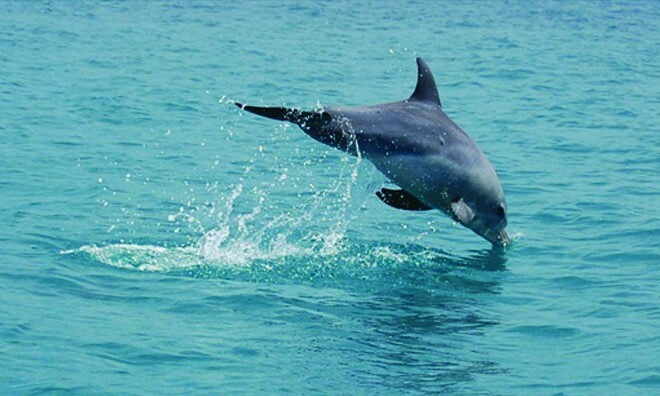 In the bay you will see a variety of pristine unoccupied islands as well as bottlenose and Indo-Pacific humpback dolphins (on most days). 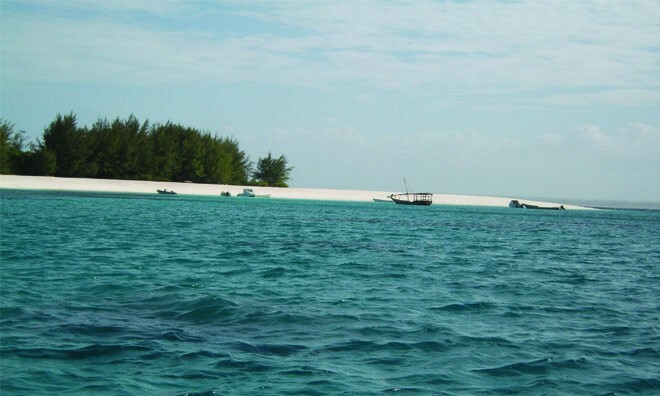 The Safari Blue tour includes snorkeling where you can view the marine life and corals of Menai Bay and a delicious Zanzibari seafood lunch on an island under tamarind trees which includes a buffet of Slipper lobster, Calamari, grilled fish and much more. Then enjoy a fruit tasting of more than 13 different fruits and relax with coffee and Amarula on a sunbed. 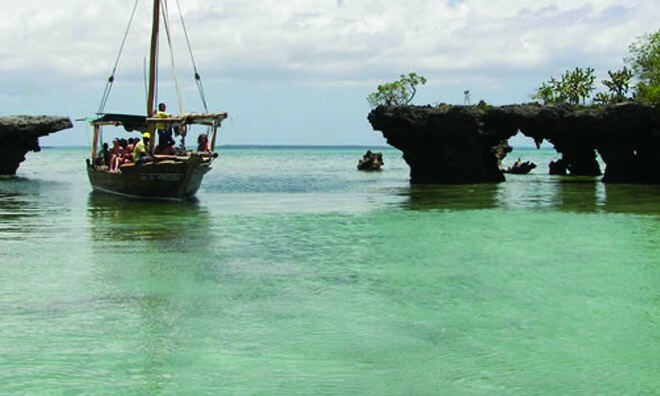 Afterwards there is the chance to sail on an "ngalawa" with an experienced crew. 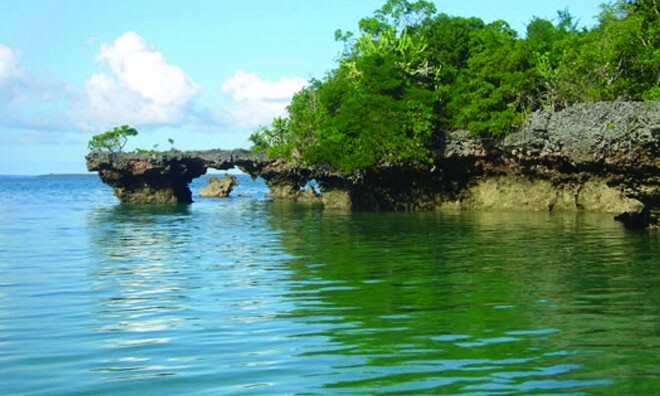 The "ngalawa" or outrigger canoe is made from a single mango tree by hand. 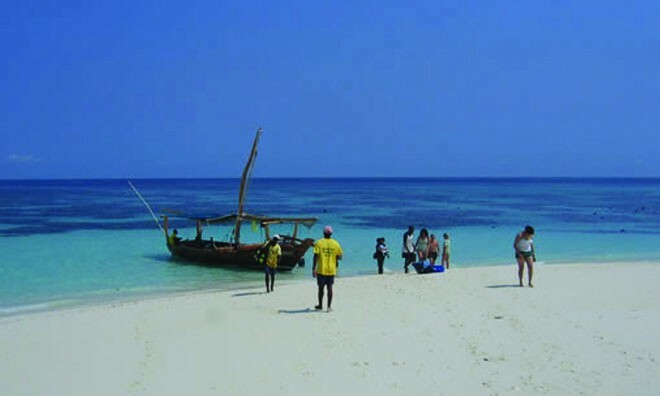 An amazing experience on your Zanzibar holiday. 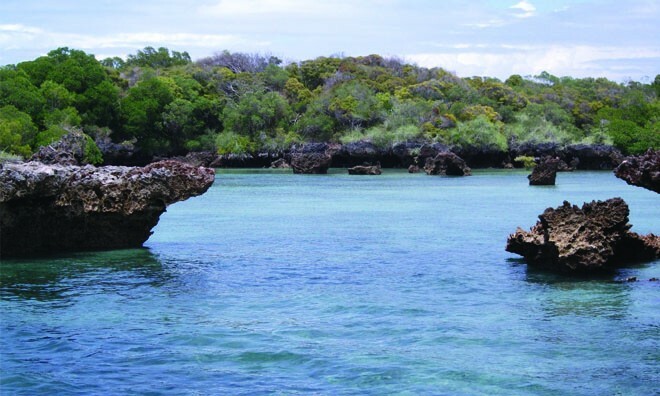 Walk on Kwale Island and explore the natural coral arches or simply bathe in the sun on the stunning white sand banks. 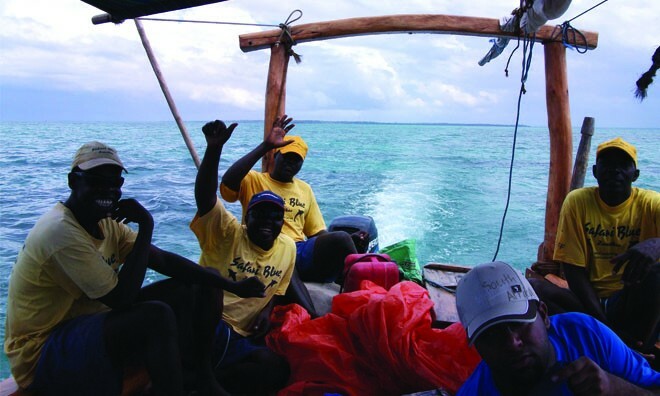 When returning to Fumba Village the journey will be by sail (if the wind permits). 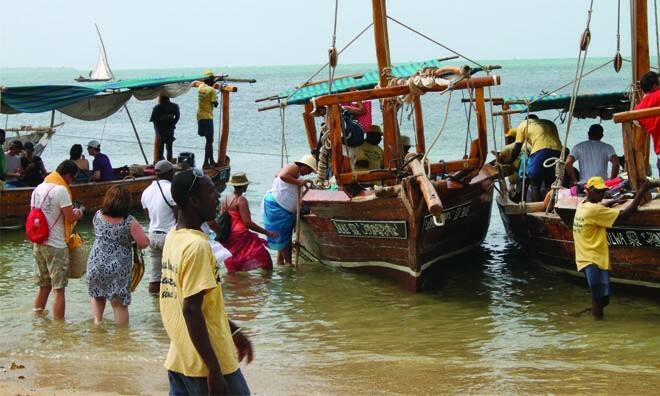 Come enjoy an experience of a lifetime with sunshine and fresh sea air on a traditional Zanzibar dhow, where you can relax sailing on the crystal blue sea of Zanzibar.